Looking for window cleaning invoice templates? We've got you covered! Do I need more than just a window cleaning invoice template? >As a window cleaning company, you're all about transparency, right? Then we'll be clear with you. If you're looking for a basic free window cleaning invoice template, there are a lot of options to choose from. But a lot of them will start charging you if you send over a certain amount of invoices or have over a certain of customers. Some tack on fees for credit card processing. ZipBooks invoice templates allows you to send an unlimited amount of invoices to an unlimited amount of customers, and we offer credit card and PayPal processing for free. 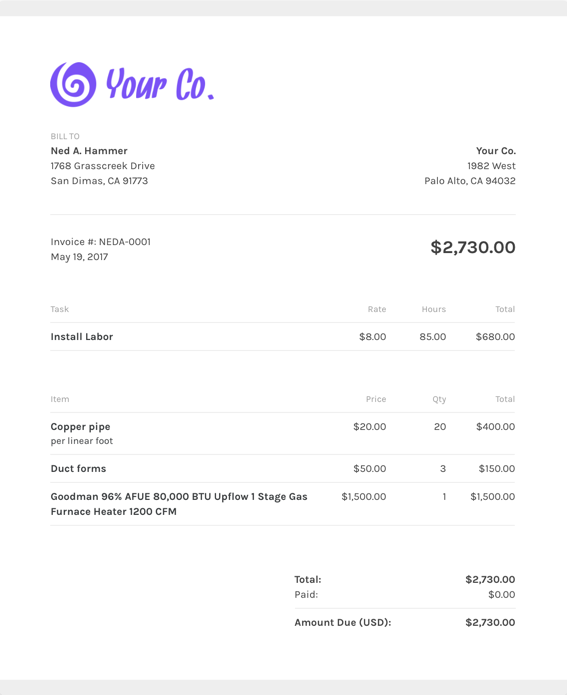 What should I include on my window cleaning invoice template? One popular feature of ZipBooks’ invoice templates is that we help you through every step of sending your first invoice. Why should I use ZipBooks’ window cleaning invoice template to create and send my window cleaning invoice?